ELEVEN CCTV cameras in Chichester city centre are set to be upgraded. At Chichester District Council’s cabinet meeting on Tuesday, members agreed to recommend to full council the upgrade and reinstatement of two cameras at the multi-storey car park at Avenue de Chartres and the upgrade of a further 11 around the city. CCTV was first introduced to Chichester in 1996 and a number of the cameras still date back to this time. The cameras are now considered to be outdated and have not kept pace with current technological changes and no longer provide the surveillance quality necessary to protect the busy city centre. Cabinet members agreed to recommend to full council the release of £165,000 from reserves to fund the necessary changes. Divisional manager communities at the council, Pam Bushby, said: “There is a value to CCTV and that is appreciated not just by ourselves but by other partners. “Recently, we had a police operation across the city centre and CCTV played a very big part in that, particularly in the arrest of somebody at the skate park. 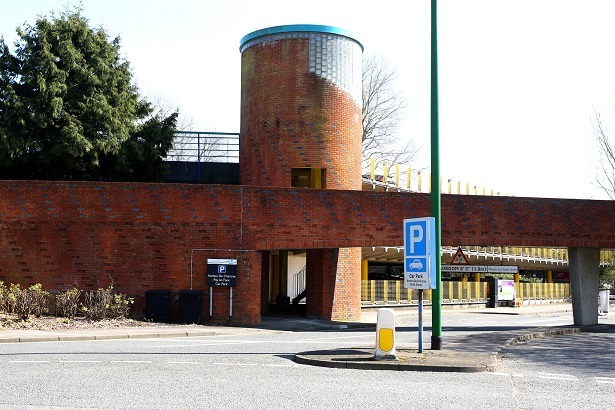 The two cameras in the multi-storey car park were removed in 2012 as part of a CCTV review. However, since that time, the area around Avenue de Chartres has seen an increase in crime and anti-social behaviour. The current annual allocation of assets renewal programme funding would only allow a piecemeal replacement of cameras at a rate of one or two a year. Cllr Adrian Moss, who is not a cabinet member, was given special permission to speak at the meeting. He said: “I share your views that in the past, many people have shown concerns about CCTV but I think it is absolutely essential. Cllr Moss also asked if the CCTV could be used to monitor footfall as well but it was explained the cameras did not have a counter on them and that Chichester Business Improvement District (BID) had two methods of calculating footfall. One was a camera specifically designed to count footfall and the other was use of mobile phone tracking data. If approved, work on replacing cameras will start in April. It is hoped the project will be completed by the end of March, 2020.